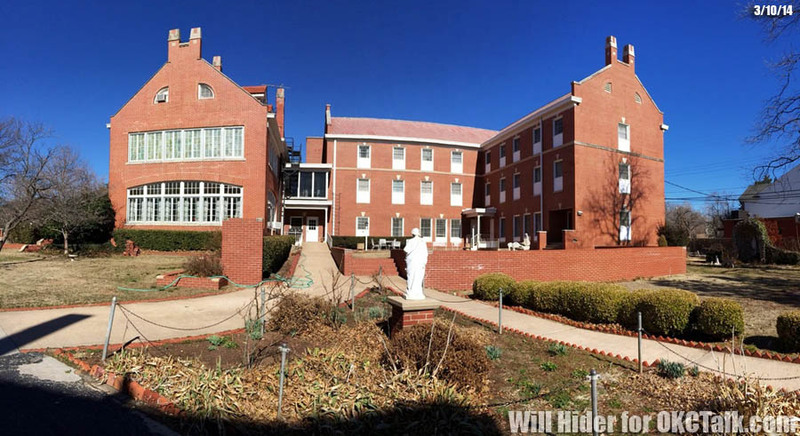 A group headed by local owners Marva Ellard and Billy Woodring have filed plans with the Downtown Design Review Committee that show the intention to renovate the existing buildings at the former Villa Teresa school and convent, as well as add condominiums on the eastern edge. 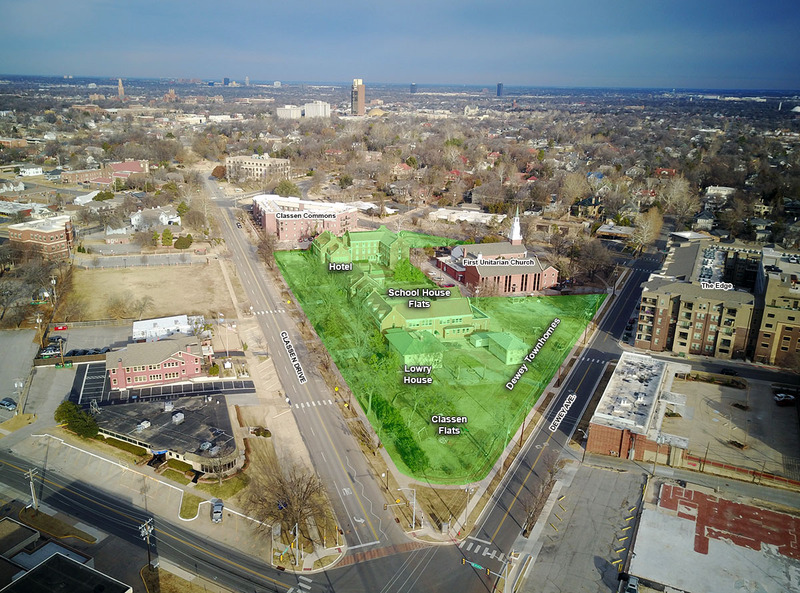 After the school had closed, Villa Teresa Investments LP bought the 3.43 acre property and five historic buildings in September for $5.75 million. 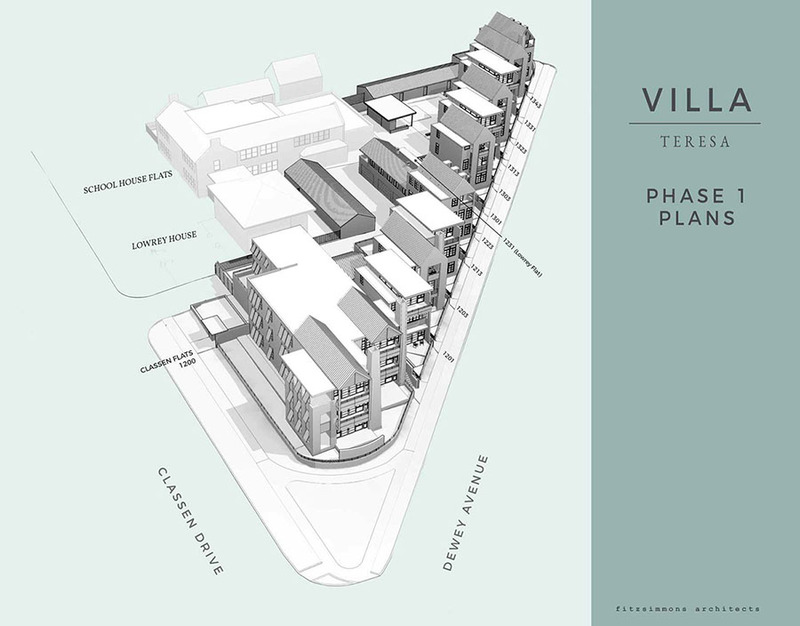 Plans by Fitzsimmons Architects show at least 3 phases of redevelopment. 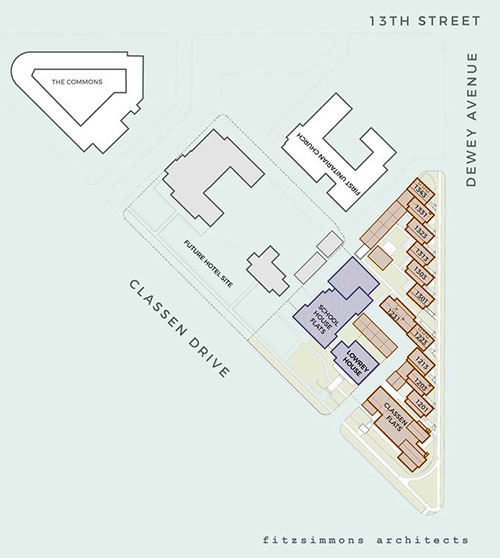 Phase I has been labeled the Dewey Townhomes and Classen Flats which would be located in an undeveloped area along Dewey Avenue. 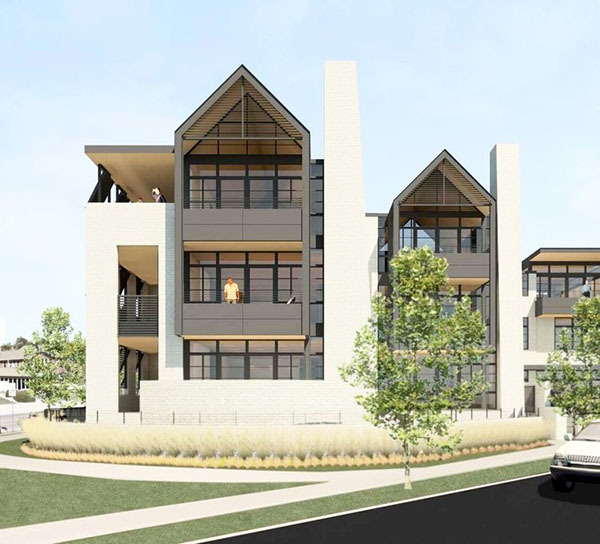 The townhouses would be 3 levels offering various floor plans from 2,030 to 2,548 square feet. 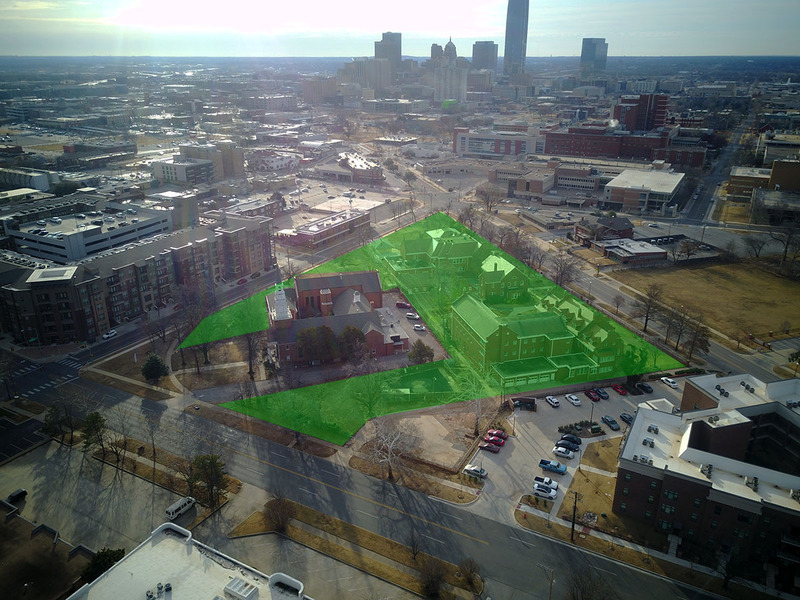 The flats would be contained in a 3-story building near Dewey and Classen Drive and should offer excellent skyline views in units ranging form 1,720 to 2,333 square feet. 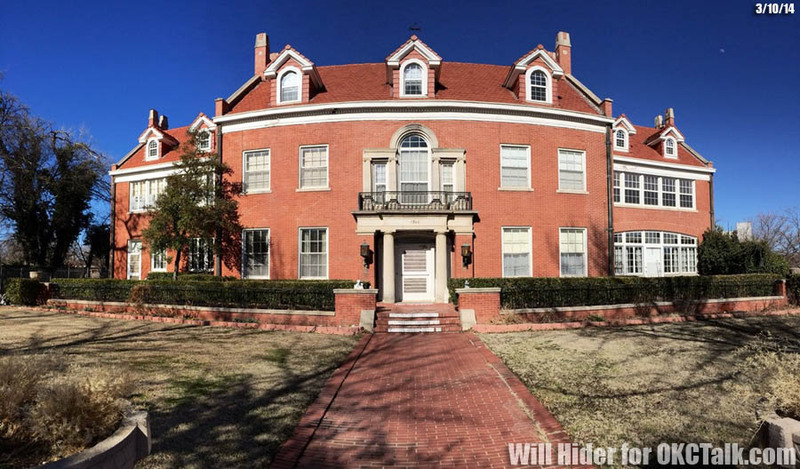 Phase II would involve renovating the historic Lowery House into two condos and the former school building would become eleven flats between 774 and 1,281 square feet. A boutique hotel would be part of Phase III and involved converting the former convent and Anderson house. All homeowners and hotel guest would have access to a 24-hour concierge, health spa, gym and pool. The committee will review the plans on February 15th.